Take a look at our Large selection of Rayburn range cooker Parts & Spares! We are a small family business based in Launceston Cornwall. to Rayburn range cookers and Aga range cookers. Our stock of Second Hand Stoves is Changing all the time. in all fuels; Electric, Oil, Solid Fuel and Gas. This site shows examples of Rayburn range cookers and Aga range cookers from brand new stoves to refurbished and second hand stoves. We also service and repair Rayburn range cookers and Aga range cookers over a wide area of the southwest. Running your Rayburn Range Cooker or Aga Range Cooker is getting very expensive give me a call or email to find out some energy efficient options. 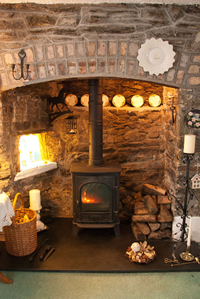 We Supply and Provide Multi fuel and wood burning stoves. Stovax, Hunter, Morso, Esse. Any stove you want ! A full HETAS Flue fitting service is also available.